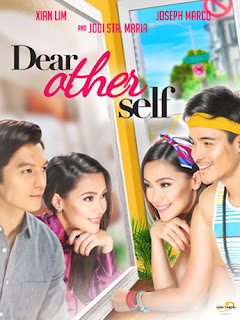 Star Cinema releasing another romantic-comedy movie, Dear Other Self. The movie Jodi Sta. Maria, Xian Lim and Joseph Marco, under the direction of Veronica Velasco, the film will be released in cinemas on May 17, 2017. A story of a woman named Becky (Jodi), caught in a life dilemma of staying at her work or pursuing her dream as a traveller. The movie will show two possibilities a person will consider in terms of life choices she will about to make. A choice where Becky can be financially stable, successful career woman and able to help her family alongside of meeting Chris (Joseph). Another choice, where she can pursue her passion in traveling and she will meet Henry (Xian). Which one will Becky choose? How will the movie end? The movie will take you to a different perspective and life possibilities in a good and light way. A delight for those who wants to relax and laugh at the same time. 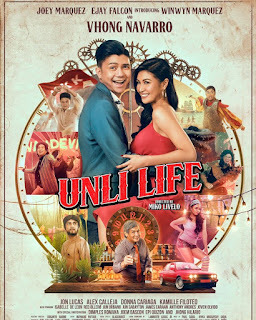 I recommend this movie, as well for those who are an avid fan of the three main casts.